There is no debate that Las Vegas is a great city to visit, but the truth is that a “Vegas holiday” means very different things to different people. 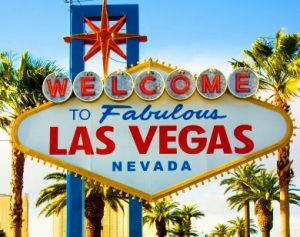 For the casual visitor, a fun trip to Vegas might mean nothing more than seeing a couple a shows, playing the slots for hours on end, and eating some enormous feasts at the all you can eat buffets. But, the fact that you are reading this article indicates that you are not just one of these mediocre masses. Indeed, you aspire to experience VIP level treatment everywhere you go, and of course, Vegas no exception. The tricky thing with Vegas is that it’s full of people who think highly of themselves and think that flashing a little cash will get them the same VIP treatment that they can easily buy in other regions of the United States. However, this is simply not the case. The most important concept to remember when it comes to being treated like a king or queen in Vegas is that it’s all about your connections, and getting people to pull strings for you. With the right connections you can have receive VIP treatment for pennies on the dollar, while others are blowing tens of thousands only to be treated as peasants. This being said, the first thing you should do before vising Vegas is to reach out to those in your social circle who can help you have an awesome trip. Of course if you are a complete loner, then this is not going to be easy, but assuming you have some pretty cool friends, it is likely that you will be able to find somebody to talk to who has some Vegas connections. Once you have identified your Vegas connection, give them a call and let them know when you are planning to visit and what sorts of activities you are looking to do during your stay. If possible take your friend out for drinks or a nice steak dinner to repay them for their assistance. Even though you have a friend getting you the hook up at hotels and clubs, it is still important to look the part when you arrive at these venues. Nobody wants to let sloppy looking people into their establishments, so be sure that you come well groomed and well dressed. Of course we are living in a day and age where the term “well dressed” can mean many things. You don’t necessarily need to wear a suit, or tie or even a sports coat depending on where you are going, but you do want to make sure that you are wearing well fitting, fashionable attire. Assuming that you are staying for a few days and/or are planning to return to Vegas at some later date, it is wise to get on good terms with the managers of the venues you are visiting. This way you won’t need to call in favors from your friend next time you visit since you will already know the important people that you need to connect with prior to your visit. Of course it is always best to make friends with those in upper management positions rather than the lower level assistant managers, but this doesn’t mean that you should neglect those in less prestigious position such as door men. Because jobs in high end Vegas establishments can be quite lucrative (as service industry positions go) many of these folks will stay in their jobs for many years and be promoted internally. This is how a $100 tip and a friendly chat with the door guy on your first visit can lead to drinks comped all night on your second visit! Just remember, when it comes to tipping it is important to create a memorable connection with the person you are tipping, rather than just throwing money at them. Big tips can be quickly forgotten, but fun times and real human connections can last forever in people’s memories.